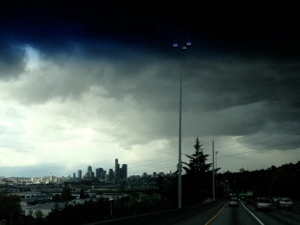 We traveled from a warm and sunny Silicon Valley to a wet and chilly Seattle, Washington, which appeared to be a completely different experience. Again we met a lot of entrepreneurship, but in a different atmosphere. Work/life balance seems to matter here, people don’t think it’s a myth like we heard at Blackbox in Silicon Valley. Many Seattle and Washington state based companies have proven this can lead to world-wide successful companies as well. Among others Amazon, Boeing, Microsoft and Starbucks are based here. The most striking difference for me is that everybody we met in Seattle seems more “relaxed”. They care a lot more about the real things in life, paying forward. It’s no longer only multi-million dollar business that counts. They seem to focus more on a sustainable life for themselves and others. One of the great examples is the Washington Business Week initiative. A group of people, mostly volunteers, stimulate entrepreneurship among youngsters. And after several successful versions in Washington, they have moved the concept to Gdynia in Poland as well. Both the people involved in this program and the ones we met later at the Association of Washington Business and the Polish American Chamber of commerce gave us all the same feeling. Everybody was really honestly interested in our activities and trying to link us to the right people. While being in Seattle we just had to visit Microsoft in Redmond. 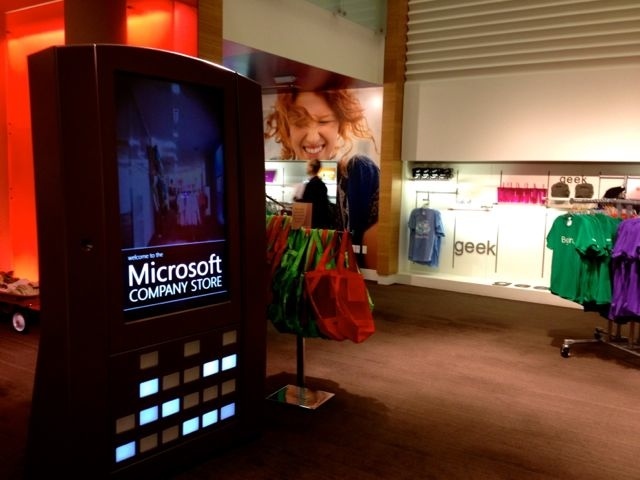 We visited the Microsoft Campus just some days before the Windows 8 launch. A big Windows 8 tent had already been installed to celebrate the launch. Of course a Windows 8 demo was part of our visit as well. Furthermore, we discussed different solutions for the civil sector, health and education. Mark offered the Pomeranian Governor and the Gdansk Mayor Microsoft’s support in setting up a region wide health and public safety solution together with local companies. He promised to visit us soon. Marco Manuello presented Windows 8 and he offered a week worth of training/support and two devices, a tablet and a hybrid, in case we had a good Windows 8 app idea. That’s something we are still working on. We finished our Microsoft visit with a round tour through some buildings and a visit to the Microsoft Company Store. Seattle has startups a lot to offer. Among others we visited SURF Incubator, an initiative by Seaton Gras. 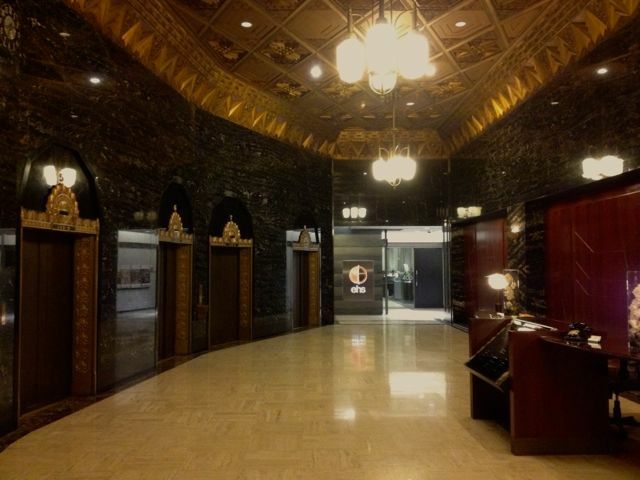 Located in one of the most beautiful buildings in the city, the Exchange Building at 2nd Av. with an impressive entrance. SURF is an entrepreneur network founded in 2009 by Seaton Gras. It was originally conceived as a way to provide mentorship and meeting space for entrepreneurs starting businesses with a technical programming requirement. In 2012, SURF teamed up with Neil Bergquist and local entrepreneurs to secure a floor of class A office space in downtown Seattle. Since its inception SURF has evolved into a community of entrepreneurs, mentors, investors, developers, designers, educators, and a breath of community supporters. SURF is a resource network for entrepreneurs eager to transform their ideas and startups into disruptive businesses. We met several really inspiring startups who shared their projects with us. SURF is a great place for startups in Seattle who look for affordable office space and could use support from other entrepreneurs. Just before leaving Seattle we could either visit Boeing or StartupSeattle. I decided to choose the later and was glad I did. We were welcomed by Red Russak, probably the most inspiring guy we met during our US Mission. He talks almost at the speed of light and his information density is amazingly high. We really had issues keeping track of our notes, we’d better recorded the meeting. Red is the founder & startup concierge of StartupSeattle, a partnership with Startup Weekend, Microsoft BizSpark, TechStars & Founders Co-op to help startups connect with resources. 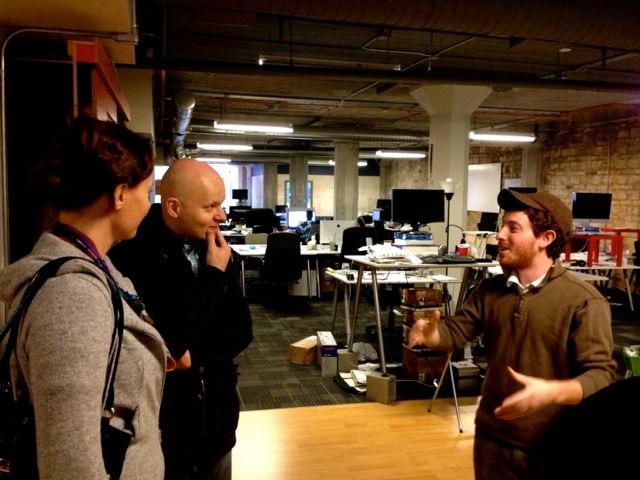 They created a set of web and offline resources and have become the hub for Seattle’s technology startup activities. Their main aim is building a sustainable and successful entrepreneurial community and that’s something that takes time, Red clearly explained that to us. One quarter a year they are hosting the Seattle TechStars winners who can use part of the StartupSeattle space for 3 months. During an evening organised by the Polish American chamber of commerce we had the opportunity to mix with the local business community. The audience was a bit more mixed than in Silicon Valley. There were fewer people representing the IT-business. Fortunately, I met a fellow Dutchmen and we concluded there’s a lot we can do together! Seattle is for sure not as entrepreneur and startup focussed as Silicon Valley, but several great initiatives are taking place. Besides, they seem to be more focussed on building a sustainable entrepreneurial climate. This combined with the quality of life focus made me personally feel more at home in Seattle than in Silicon Valley. Checkout the other US Mission blog posts.